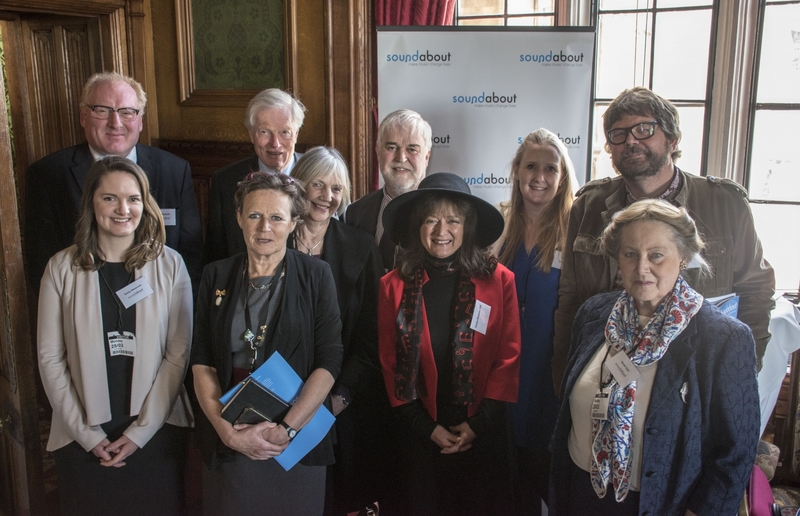 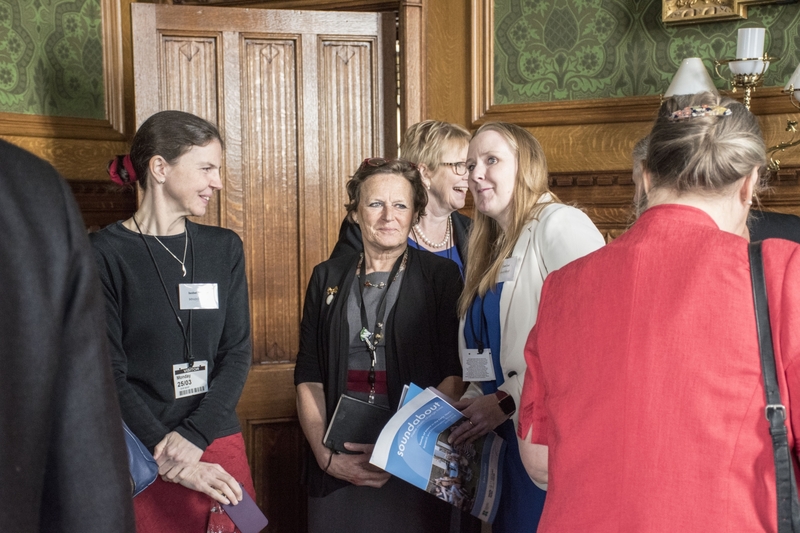 A new research report launched on Monday 25 March 2019 at the House of Lords by Soundabout, reveals that targeted music sessions for children in the early years and their families in areas of high deprivation can improve their capacity to manage their feelings and behaviour, boost their self-confidence, and heighten their ability to listen and pay attention, enabling them to ‘close the gap’ in terms of meeting their age-related expectations. 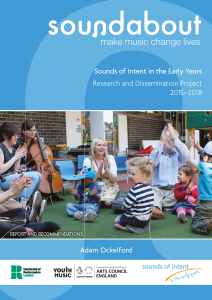 Critically, this effect is even more marked for young children with complex needs (having severe or profound and multiple learning difficulties), and the intervention in the early years appears to have more impact than comparable interventions that have been tried later in childhood. 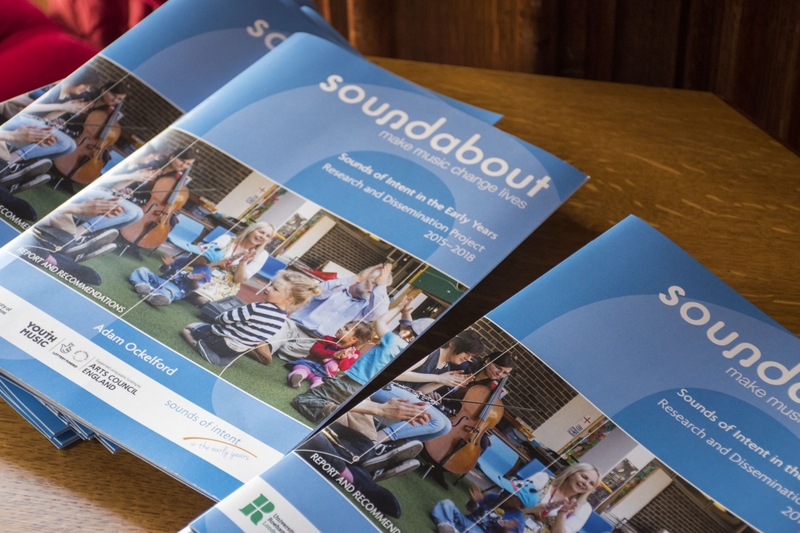 From 2015–2018, the Oxfordshire-based music charity Soundabout created and ran a ten-week music programme funded by Youth Music, known as ‘Sounds of Intent in the Early Years’, for over 200 children in the early years in 27 Children’s Centres and specialist local organisations. 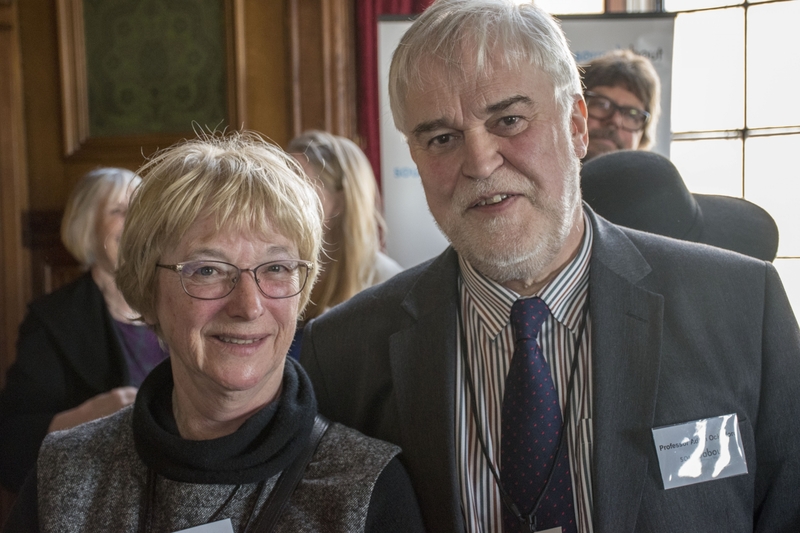 Matt Griffiths, CEO of Youth Music said, “We know that the earlier young children get to make music the better for their personal, social and musical development. 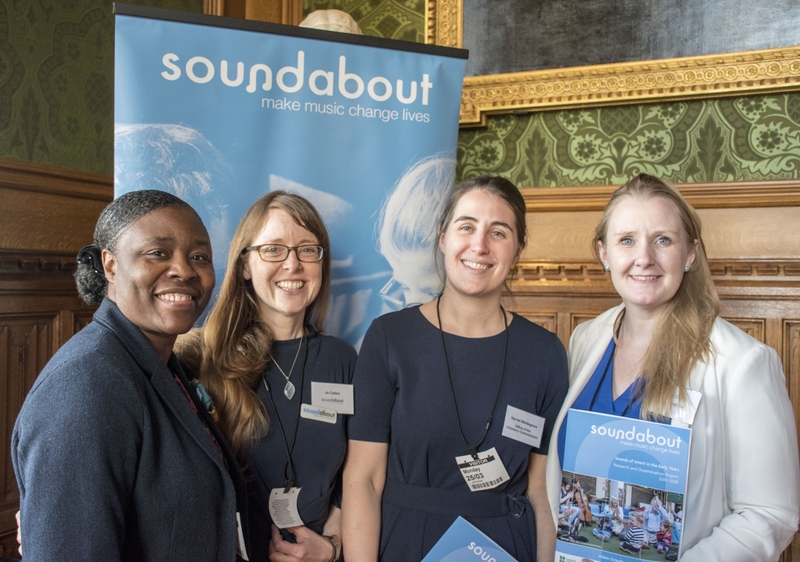 This report from Soundabout takes us a step further in understanding what this impact is particularly for young children and their families who face barriers to taking part. 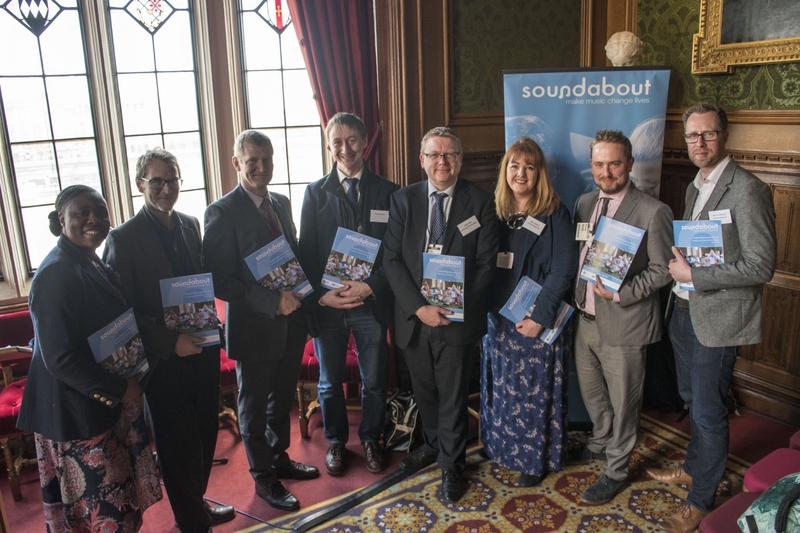 I look forward to it informing future policy and actions in the future and congratulate the Soundabout team for making it happen.